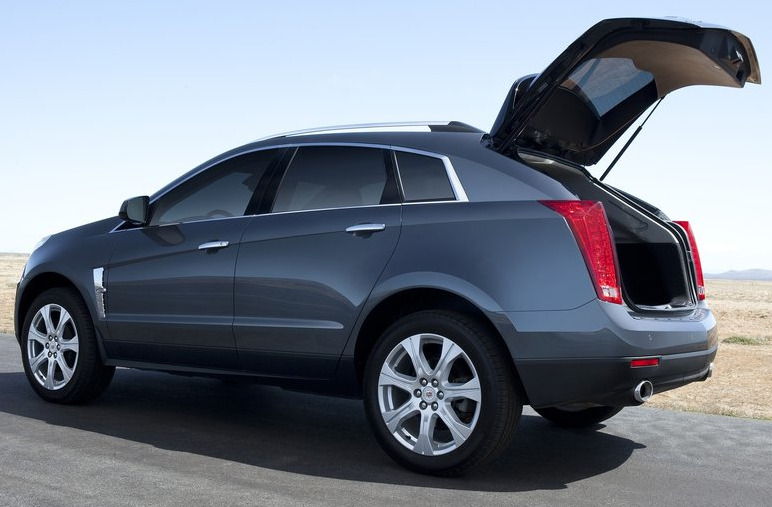 From a V6 or V8-engined seven-seater to a more compact, less-expensive, and hopefully more fuel-efficient 5-seater, the evolution of the old Cadillac crossover into the 2010 Cadillac SRX was met with mixed reviews but stunning sales figures. Up 152% from 2009 levels, SRX sales topped the Audi Q5 by more than 27,000 units and smoked its lone potential domestic rival by more than 29,000 units. It couldn’t be any more official: America loves the Cadillac SRX. 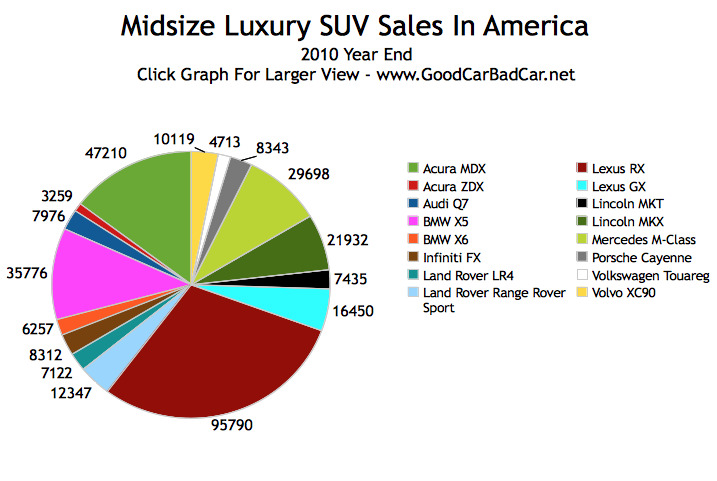 And if America loves the Cadillac SRX, what does that say about the Lexus RX? Though sales increased by only 2.6%, the RX was ridiculously popular last year, too. Easily the most popular model at Toyota’s luxury division, the Lexus RX came close to out-selling the whole Audi brand by itself and did indeed out-sell Lincoln and Volvo. 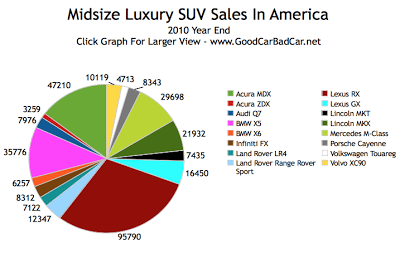 Less popular in 2010 were luxury utility vehicles like the overweight BMW X6, the nasally-challenged Lincoln MKT, and the dreadful Acura ZDX. 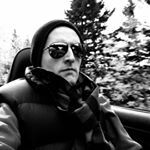 All are relatively new-to-the-market vehicles, but the three Bad 8 losers each lost respective battles with the Porsche Cayenne, Audi Q7, and Infiniti FX. 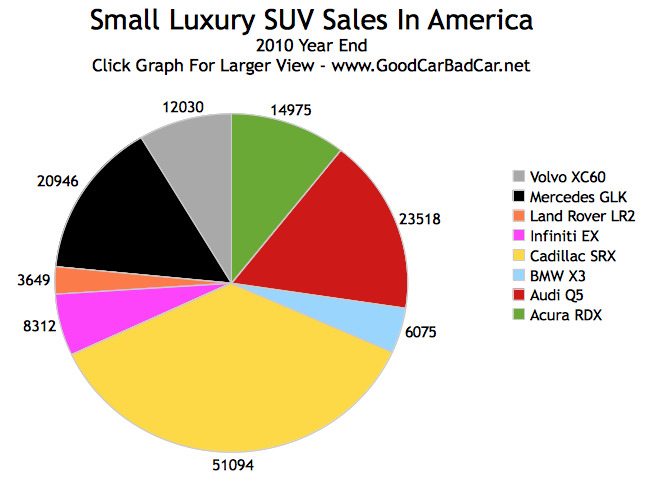 2010 wasn’t the best and brightest year for auto sales. Compared with 2009, however, luxury SUV and crossover sales were pleasantly voluminous, a fact which sends clear signals regarding a strong 2011.